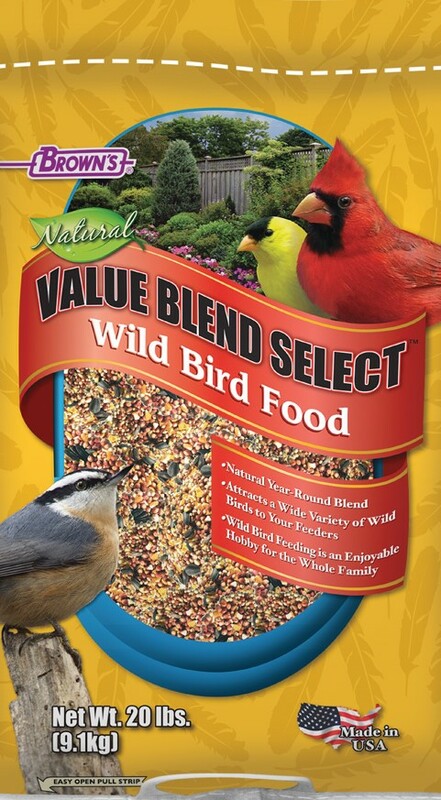 The Brown’s® family created Value Blend Select™ Wild Bird Food for the novice and experienced hobbyist alike. They blended natural select seeds and grains to attract a wide variety of colorful backyard birds all year round, during all seasons, and in all regions. Their unique “Five Stage Cleaning Process” removes unwanted foreign matter to provide the cleanest, most nutritionally healthy product available. Brown’s® is the better choice and will help make the bird feeding experience fun and rewarding for the whole family.